Frequency wrote: Could you confirm that I did indeed signup. Hello! You're on the list for two sets with Derpy as the best pony! Confirmed with RainbowDash as Best Pony. Don't get scared by these [redacted] marks in your previous posts. We just want to protect your e-mails against spammers! I've recently moved to a new house. How do I go about getting the shipping address changed to my new one? Lathier wrote: I've recently moved to a new house. How do I go about getting the shipping address changed to my new one? Please email us at FOEPrintProject@gmail.com and we will update your address and send you a new invoice. I'm really happy that fallout Equestria is having a third printing and I would like to confirm my email. It is [redacted]. I would like to know if I made the reservation list. 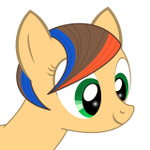 freakingidiot wrote: I'm really happy that fallout Equestria is having a third printing and I would like to confirm my email. It is [redacted]. I would like to know if I made the reservation list. Hello there! Everything looks fine, we got your reservation.